Cupro Nickel Plates, Copper Nickel Plates, ASME SB 122 Cupro Nickel Plate, Cu-Ni Plate, Cupro Nickel Coils, Cupro Nickel Circle, Copper Nickel Sheets, Cu-Ni Hot Rolled Plates Supplier in Mumbai, India. Copper Nickel Plate Exporter, ASTM B122 Copper Nickel Shim Sheets, Cu-Ni Cold Rolled Plates,Cupro Nickel Sheets, Cu-Ni Sheets Dealer in India. Ganpat Industrial Corporation provides a quality collection of Copper Nickel Sheets Plates and Coils, where our offered collection is ensured to be in acquiescence by means of the international quality standards. The main and wrought Cupro Nickel lates selected for sea water service comprise 10 percent of nickel. An adding of iron in Cupro Nickel Coils was made to upsurge its resistance to general corrosion, impingement corrosion and erosion resulting from the stormy movement of water comprising silt flowing and air bubbles at a superior velocity. Cupro Nickel Slatting Coils (UNS C70600) exhibit bigger corrosion resistance in seawater. Meanwhile, Cupro Nickel Perforated Coils are also being offered in different sizes and shapes to our customers. When other elements are present, nickel in Cu-Ni Sheets has the largest individual content after copper, compared with each other element. Cu-Ni Plates are a strong, ductile material exhibiting good corrosion resistance. Cu-Ni Coils are an alloy of copper, nickel and strengthening elements such as iron and manganese. We are occupied with assembling and supplying of Cu-Ni Slatting Coils which are generally refreshing for their quality, durability, temperature, and weight resistance. Cu-Ni Perforated Coils exhibit excellent resistance to impingement attack, and offers superior resistance to general corrosion and marine water attacks. Cupro Nickel Plate Stockholder, Distributors Of ASME SB122 Copper Nickel Coils, Cu-Ni Polished Cold Drawn Plates, Cu-Ni Strips Stockist, Manufacturer. We do care about the quality of our products even some little details are paid attention to. Each order is packaged according to the customer’ s standards including preparation for export such as wooden case, pallet or according to customer’s requirement All shipping documentation is provided for Cupro Nickel Sheet, Plate and Coil delivery from mill to customer. Every assignment begins with a visit of our experienced sales representative who assesses the volume / weight of the belongings and brief the client about the nature of packing required as well as various documentation formalities when moving from India. 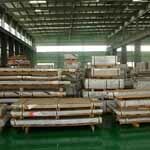 cupro Nickel sheet, Cu-Ni sheets specification, copper Nickel hot rolled plates dealers, copper Nickel chequered plate, Cu-Ni coil stockholder, cupro Nickel coils, Cu-Ni sheets, cupro Nickel sheets exporter in India, Cu-Ni plates Exporter in India, copper Nickel sheets price, copper Nickel plates price india, copper Nickel plates, coils, Cu-Ni plates, cupro Nickel shim sheets, cupro Nickel cold rolled sheet distributors, asme SB168 cupro Nickel sheets Suppliers. Los Angeles, Visakhapatnam, Houston, Baroda, Brisbane, Sharjah, Ho Chi Minh City, Haryana, Nashik, Nagpur, Karachi, Chandigarh, Kuwait City, Aberdeen, Bhopal, Al Jubail, Bogota, Jaipur, Doha, Secunderabad, Milan, Santiago, Caracas, Coimbatore, Jeddah, Tehran, Singapore, Kolkata, Petaling Jaya, Colombo, Vadodara, Pune, Jakarta, Algiers, Madrid, Gimhae-si, Bengaluru, Riyadh, Thiruvananthapuram, Howrah, Atyrau, Al Khobar, Ahmedabad, Rajkot, Lagos, Sydney, Montreal, Melbourne, Dubai, Perth, Hyderabad, Ludhiana, Mumbai, Manama, Geoje-si, Kanpur, Calgary, Dammam, Abu Dhabi, Surat, Indore, Vung Tau, Cairo, Moscow, Courbevoie, Edmonton, Ranchi, Ulsan, Jamshedpur, Bangkok, Ahvaz, New York, Faridabad, Seoul, Mexico City, Pimpri-Chinchwad, Port-of-Spain, Toronto, Thane, Kuala Lumpur, Lahore, Navi Mumbai, Ernakulam, Granada, Busan, Chennai, New Delhi, Rio de Janeiro, Istanbul, Hanoi, Hong Kong, London, La Victoria, Dallas, Chiyoda, Ankara, Muscat, Gurgaon, Noida. Gambia, Estonia, Macau, Puerto Rico, Australia, Namibia, Bulgaria, Mongolia, Thailand, Costa Rica, India, Nepal, Algeria, Pakistan, Philippines, Colombia, Bangladesh, Libya, Ecuador, Vietnam, China, Hong Kong, Poland, Czech Republic, Kenya, Belarus, France, Italy, Qatar, Japan, United Kingdom, Peru, Bolivia, Lithuania, Spain, Turkey, Norway, Yemen, Lebanon, United Arab Emirates, Chile, Angola, United States, Bahrain, Croatia, Denmark, Taiwan, Sweden, Malaysia, Ukraine, Finland, Portugal, Switzerland, Kazakhstan, Morocco, Ghana, Hungary, Belgium, Brazil, Iran, Zimbabwe, New Zealand, Jordan, South Korea, Sri Lanka, Afghanistan, Greece, Saudi Arabia, Iran, Romania, Bhutan, Canada, Trinidad & Tobago,Tunisia, Iraq, Russia, Azerbaijan, Mexico, Serbia, Venezuela, Israel, Oman, Nigeria, Indonesia, Egypt, Austria, Kuwait, Germany, Tibet, Slovakia, Netherlands, Ireland, Gabon, Argentina, Singapore, Chile, Mexico, Nigeria, South Africa, Poland.